thermal measurements to quantify surface temperatures and detect heat and moisture stress. 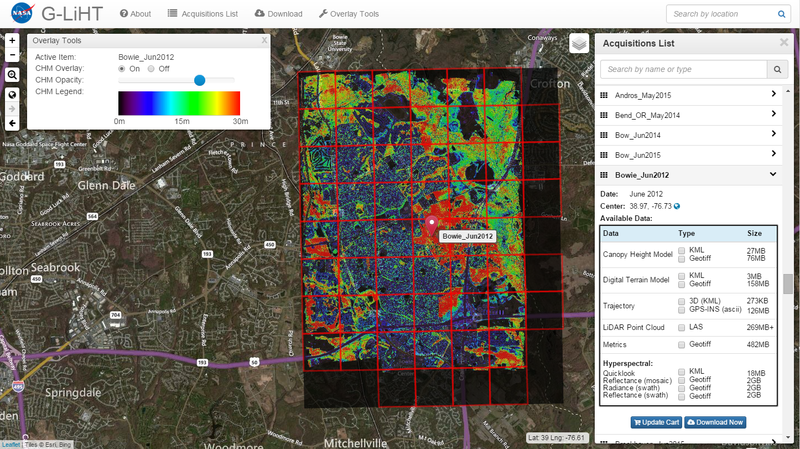 G-LiHT enables data fusion studies by providing coincident data in time and space, and provides fine-scale (<1 m) observations over large areas that are needed in many ecosystem studies. G-LiHT data can be browsed and downloaded from our interactive webmap. 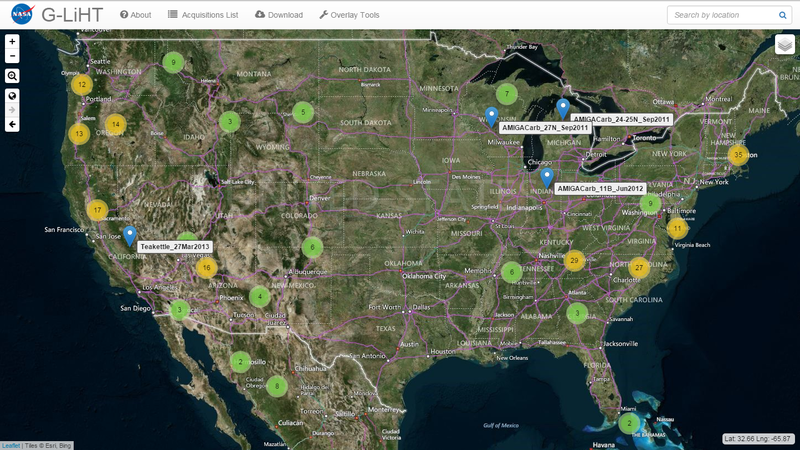 The webmap is under active development, and we appreciate any feedback. Cook, B. D., L. W. Corp, R. F. Nelson, E. M. Middleton, D. C. Morton, J. T. McCorkel, J. G. Masek, K. J. Ranson, V. Ly, and P. M. Montesano. 2013. NASA Goddard's Lidar, Hyperspectral and Thermal (G-LiHT) airborne imager. Remote Sensing 5:4045-4066, doi:10.3390/rs5084045.